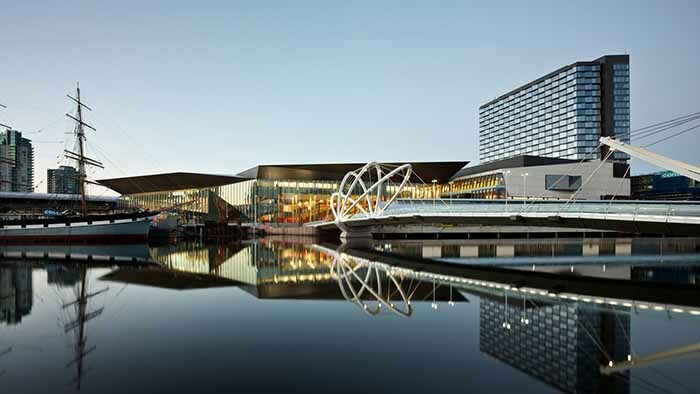 Six Australian architecture firms have been included in the annual World's Top 100 Architecture Firm Awards of 2015. The annual list compiled by the UK's Building Design weekly newspaper in which surveys more than 1400 architecture practices across the globe have been revealed. Amongst the six Australian Architecture practices Woods Bagot took the lead at 7th place, unchanged from 2014. Followed by HBO+EMTB at number 43, Cox Architecture at 45, The Buchan Group at 60, ThomsonAdsett 95 and newcomer to the top 100, Hayball at 99. DWP|Suters, ranked 117 made the ones-to-watch list. Melbourne Convention and Exhibition Centre - Woods Bagot. Woods Bagot is a global design and consulting firm with a team of over 1,000 people working across studios in Australia, Asia, the Middle East, Europe and North America. 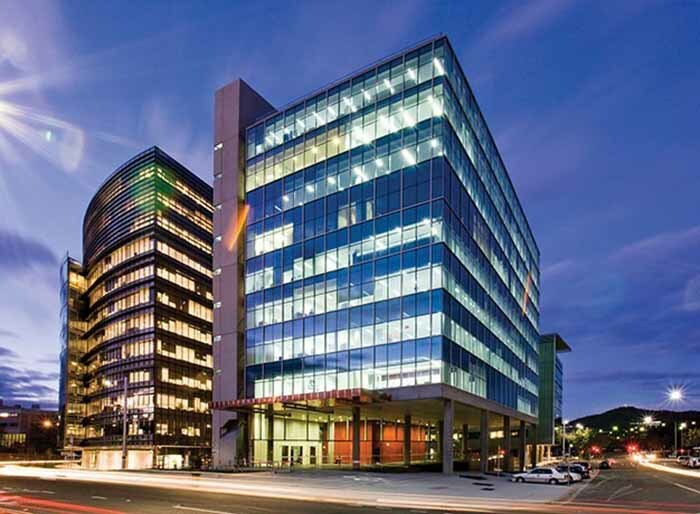 Woods Bagot boasts a diverse portfolio with 140 years of design excellence. Specialising in five key Architectural sectors – Aviation and Transport; Education, Science and Health; Lifestyle; Sport; and Workplace. 16 Marcus Clarke St, Canberra - HBO+EMTB. HBO+EMTB is an established, regional design practice. Delivering sustainable, humanistic solutions that integrate commercial goals and social objectives. The HBO+EMTB practice offers multi-disciplinary expertise in architecture, interior design, workplace solutions, urban design, landscape design, heritage and planning. The business has also previously received awards including the 2012 World Architecture Festival in Transport and Excellence in Brick and Block Awards. 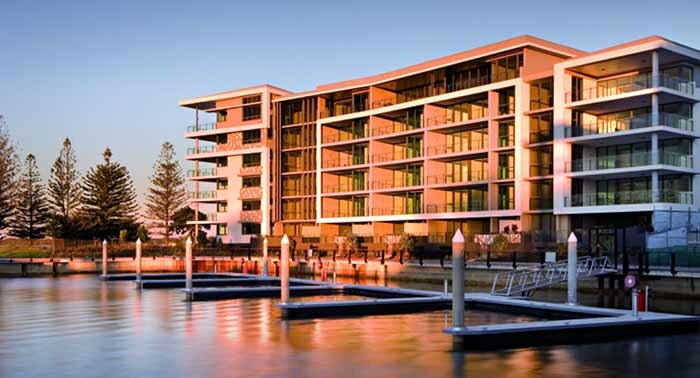 Allisee Residential Community, Gold Coast by Cox Architecture. Cox Architecture originated in 1962 as a partnership between Philip Cox and Ian McKay. By 2000, the practice had become one of Australia's largest. The range of projects types and sizes expanded into office, retail, residential, resort and mixed use developments. 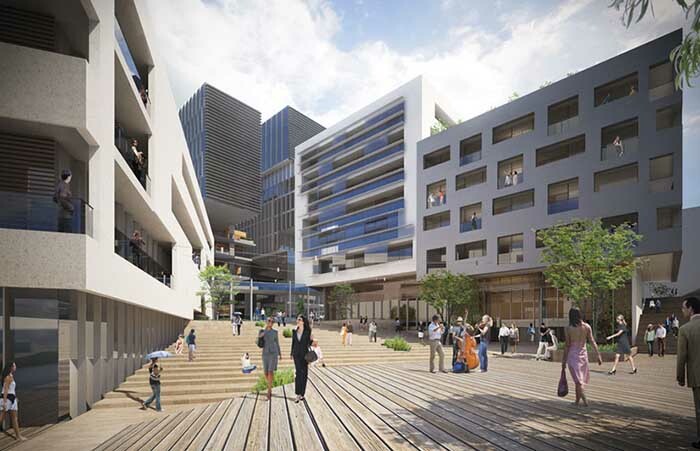 Master planning became a major focus for the practice, specifically for urban waterfronts and tertiary education and research campuses both in Australia and internationally. The Singapore Marina Bay Redevelopment and Singapore Management University was an international competition won by Cox Architecture. Tracing its history back to 1890, with the first practice opening in Geelong Victoria, The Buchan Group is now a globally established architectural group. 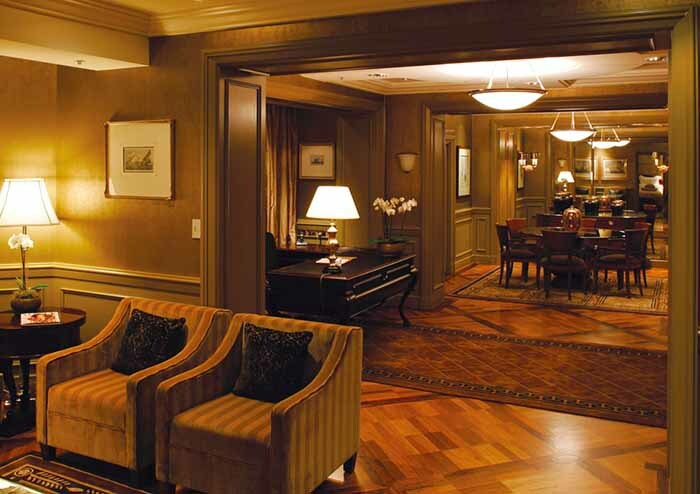 With a staff of almost 400, the group is recognised for its design excellence and depth of experience in all sectors. Operating across several locations in Australia and New Zealand, with offices in London, Shanghai and Dubai. 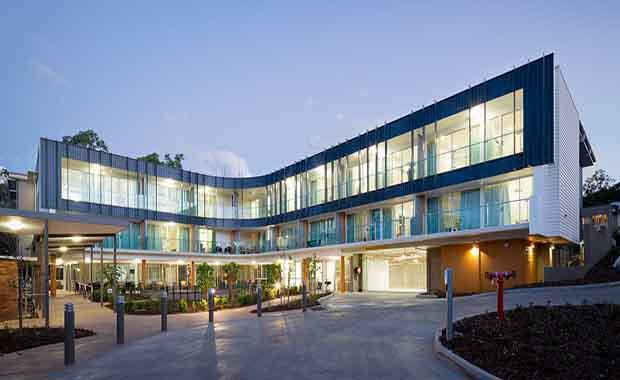 St Paul's Residential Aged Care in Bardon by ThomsonAdsett. Ian Thomson and Rob Adsett founded ThomsonAdsett in 1971. From a one-room studio in Brisbane, Australia, the practice grew steadily to become one of the 100 largest architecture firms in the world. Previously receiving many Architecture Awards, recently for the renovation/modernisation of the Deakin University. Monash University, Melbourne by Hayball. 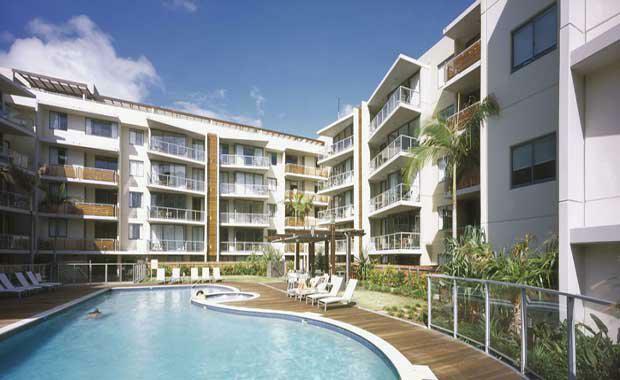 One of Australia’s largest practices, Hayball specialises in architecture, interior design and urban planning. 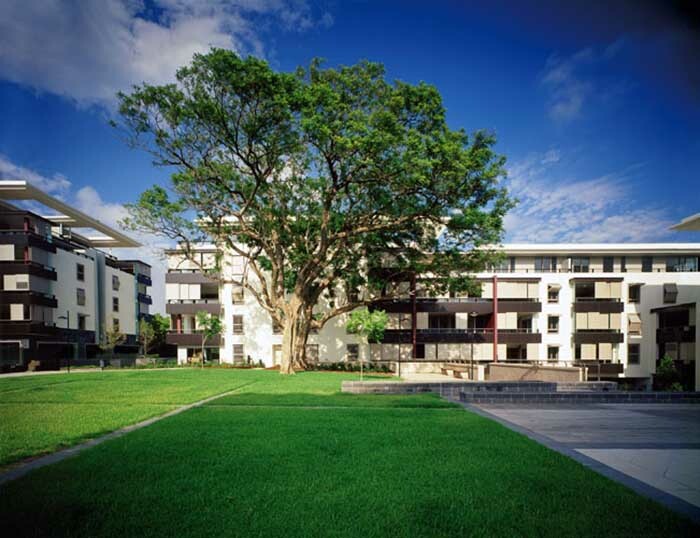 Over 30 years, the company has worked on projects across Australia, South-East Asia and China – these vary from schools and universities, commercial developments and urban designs for entire suburbs. Recently, the practice won the Excellence in Timber Design in the 2014 Australian Timber Design Awards. Questioning conventions and norms, DWP|Suters engage in thorough research and enquiry throughout the design process to generate unique ideas. The specialist teams bring expert capability, experience and knowledge to every project. The practice recently won an Innovation Award for their work on Bentleigh Secondary College’s Meditation & Indigenous Cultural Centre.